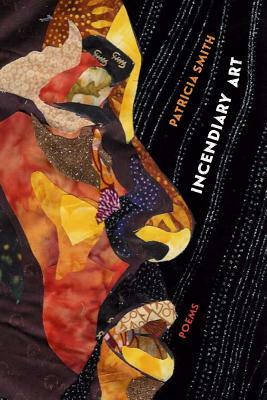 One of the most magnetic and esteemed poets in today’s literary landscape, Patricia Smith fearlessly confronts the tyranny against the black male body and the tenacious grief of mothers in her compelling new collection, Incendiary Art. She writes an exhaustive lament for mothers of the "dark magicians," and revisits the devastating murder of Emmett Till. These dynamic sequences serve as a backdrop for present-day racial calamities and calls for resistance. Smith embraces elaborate and eloquent language— "her gorgeous fallen son a horrid hidden / rot. Her tiny hand starts crushing roses—one by one / by one she wrecks the casket’s spray. It’s how she / mourns—a mother, still, despite the roar of thorns"— as she sharpens her unerring focus on incidents of national mayhem and mourning. Smith envisions, reenvisions, and ultimately reinvents the role of witness with an incendiary fusion of forms, including prose poems, ghazals, sestinas, and sonnets. With poems impossible to turn away from, one of America’s most electrifying writers reveals what is frightening, and what is revelatory, about history. PATRICIA SMITH is a National Book Award finalist (2008) and the author of six critically acknowledged volumes of poetry. Her awards and honors include the 2014 Rebekah Johnson Bobbitt National Prize from the Library of Congress, the 2013 Lenore Marshall Poetry Prize from the Academy of American Poets, and a 2013 Phillis Wheatley Book Award. A formidable performer, Smith has read her work at venues all over the United States and around the world. She is a Cave Canem faculty member, an associate professor of English at CUNY/College of Staten Island, and a faculty member in the Sierra Nevada College M.F.A. program. "Patricia is one of the poets writing today that I most deeply admire. Her work is always timely, powerful, necessary, and at turns heartbreaking."